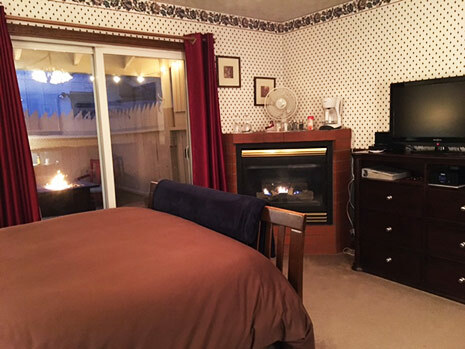 A fabulous guestroom on the second floor of the home is an Open Double Suite with a King Size Bed, Large Gas Fireplace and your own Living Room with wonderful Views of the countryside and sunsets! 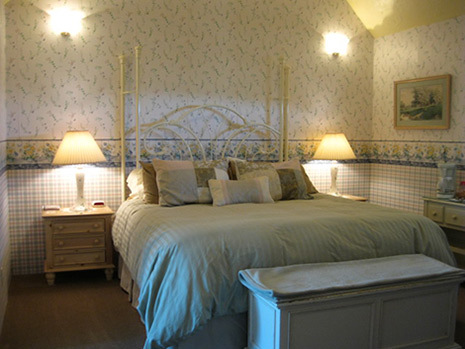 The full bath is appointed with a Marble Shower for Two, and a Small Fridge is tucked in a corner of the guestroom for your added convenience! 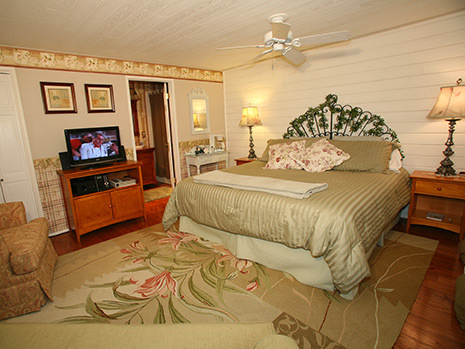 The Spring Room can comfortably accommodate two, three or four guests. 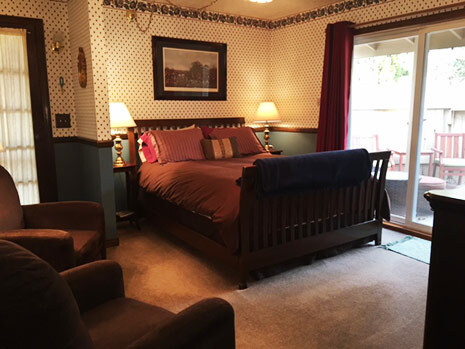 This large and naturally bright guestroom offers a King Size Bed, a small Electric Fireplace, and gorgeous Reading Chairs, one of which opens to a single size bed for a third person in the guestoom. 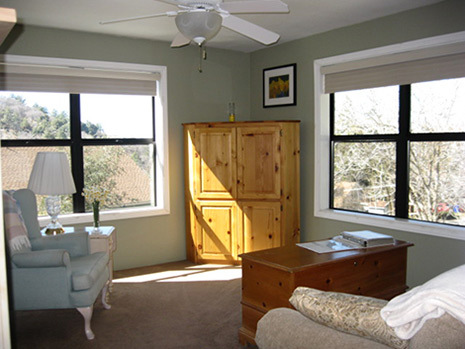 School Aged Children are Warmly Welcome at Eaglenest B&B. 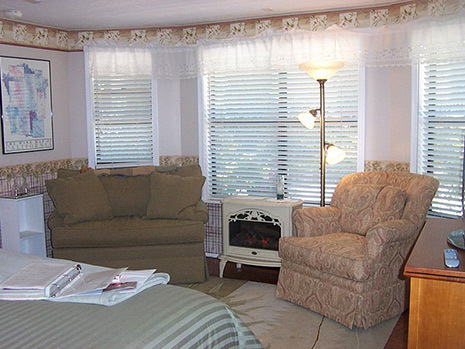 Cottage Privacy in the comfort of a B&B Home! 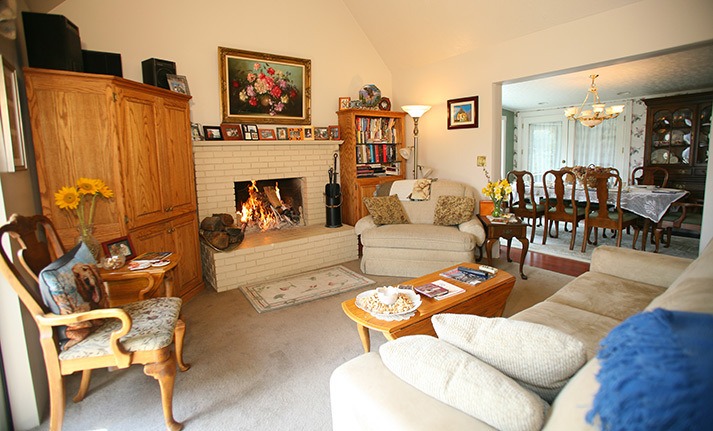 A Private Entrance, a Queen Size Bed, Gas Fireplace, and back Courtyard Patio with gas Fire Pit combine to make this a fabulous and extra private getaway accomodation for two! 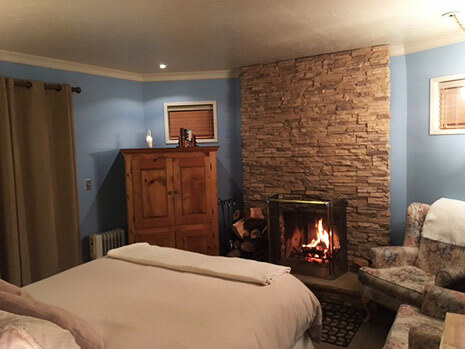 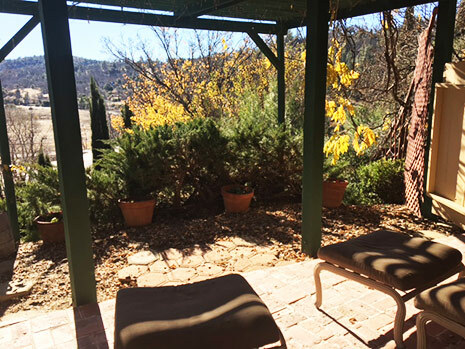 Cozy, Intimate, and Extra Special with a Wood Burning Fireplace that we set and supply the wood for, a Queen Size Bed, and a Private Patio with Spectacular Views of the Countryside make this guestroom extra popular!